As a specialist in oral and maxillofacial surgery, Dr. Lawrence Zager with Millennium Park Oral Surgery in Chicago, Illinois keeps up to date with the latest technology and research regarding advancements in bone and soft tissue regeneration. In the past 10 years, perhaps one of the most important new developments is using stem cells from the patient or from other sources to increase and improve the quality of bone and soft tissue growth regeneration. This includes the use of bone morphogenetic protein (BMP), platelet rich plasma (PRP) and platelets enriched fibrin (PRF). How are Stem Cells Used for Bone Growth? BMP, PRP and PRF are stem cells that are used to improve the quality and quantity of bone and soft tissue growth. These products have been used in several medical fields such as orthopedics, sports medicine, neurosurgery, cardiothoracic, and, most recently, maxillofacial surgery. It allows the patient’s own immune system to promote wound healing and repair, reducing allergic responses to foreign human donor bone and tissue grafts. These materials are helpful for patients who are immunocompromised or have had poor outcomes from previous surgical procedures. The process involves taking the patient’s own blood and using a centrifuge to separate the plasma – the straw-colored liquid portion of blood that concentrates blood with stem cells. Dr. Zager uses PRF in the plasma to replace the missing soft tissue and bone in the surgical area. This promotes vascular vessel formation and new bone growth where the bone is weak or absent. The PRP helps blood coagulate and releases the growth factors that stimulate the stem cells to grow into new bone and soft tissue. How is PRP/PRF Used in Oral Surgery? The combination of PRP and PRF, taken from the patient’s own blood, has been successfully used for dental implants, palate defects, sinus lifts, fistula repairs between the mouth and sinus, and the regeneration of bone. The goal is to speed up the healing process and create denser bone. 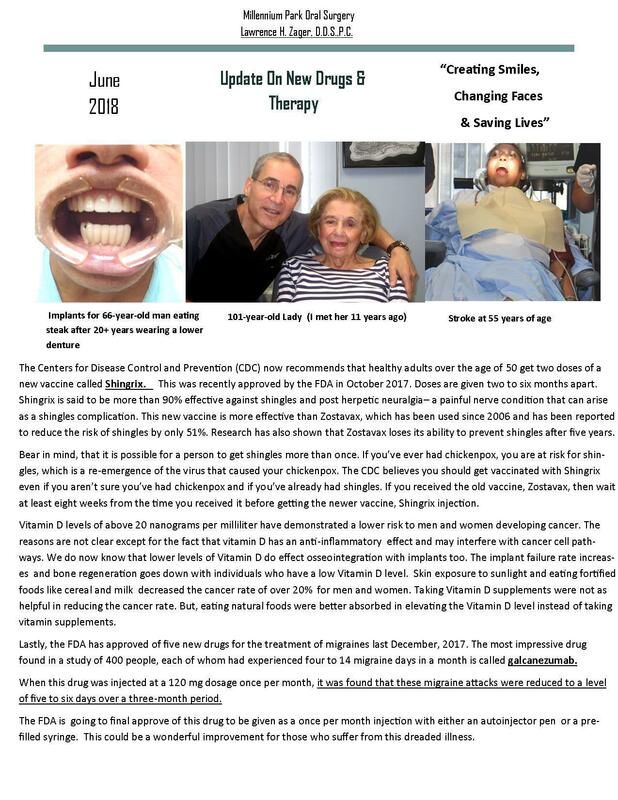 Dr. Zager and his colleagues have found these added surgical techniques to be very effective, especially in older patients, medically compromised, or those that have received radiation to the head and neck. The best part of this process is the blood components come directly from the patient. There is no risk of disease transmission from donor platelets or rejection. Dr. Zager uses your own blood and blood products to help your body repair, regenerate and heal properly. Certain individuals or families may have a history of an inherited disease or illness that has plagued their ancestors and family members for many years. 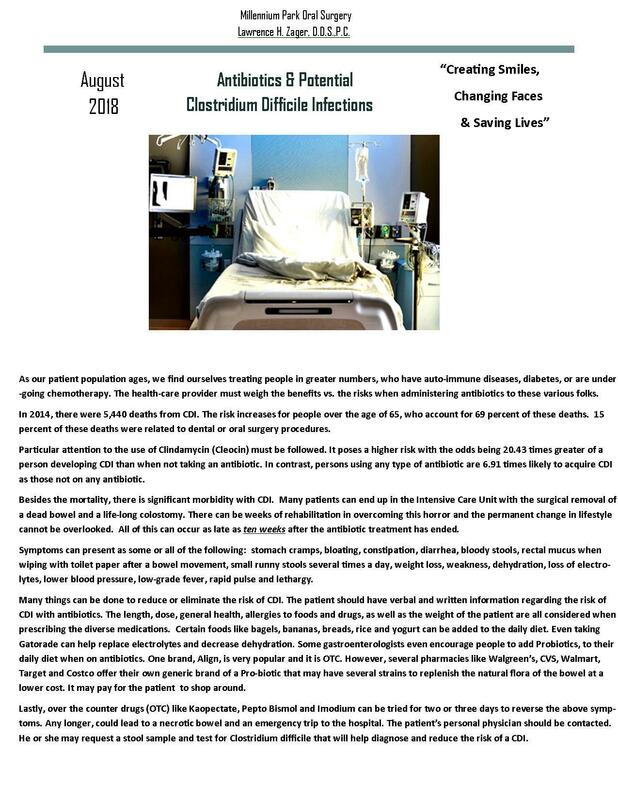 In some cases, these diseases have skipped generations or have been passed down to existing children and young adults. With the mapping of the human genome, genetics is allowing medical researchers to discover patterns of the genetic code that can lead to future cures with new drug therapies and the modification of stem cells. If parents want to protect their unborn child or children from these serious or life-threatening circumstances, then they should consider taking stem cells from tooth extractions and preserving them. This could lead to a possible cure that would not be rejected or time wasted trying to find a perfect stem cell donor match. The use of these stem cells from a tooth could make a big difference in protecting and enjoying a better quality of life for all concerned! Click here to learn about the benefits of Store-A-Tooth, the leader in dental stem cell storage.